Undefeated welterweight prospect, Keith Hunter (8-0, 6 KOs), has signed a managerial agreement with Greg Hannely of Prince Ranch Boxing. Hunter, who is the younger brother of IBO Inter-Continental Heavyweight champion, Michael Hunter (15-1, 10 KOs), joins fellow undefeated stable mates Blair Cobbs (9-0-1, 6 KOs), Victor Pasillas (13-0, 6 KOs), and Damien Vazquez (14-0, 7 KOs) on the Prince Ranch Boxing roster. 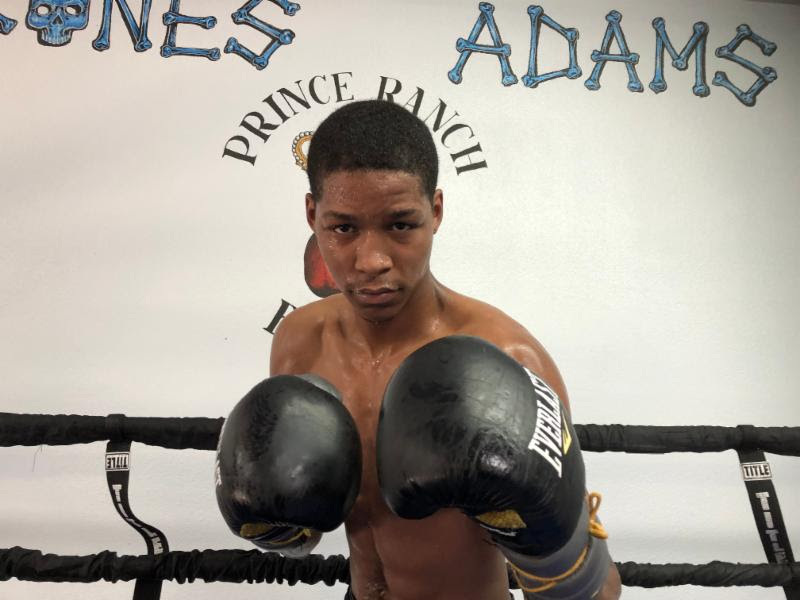 “Now that I have a strong management team behind me, I can focus more on my boxing career.” stated Hunter, who is trained by former two-time world champion, Bones Adams and Brandon Woods. Former two-time heavyweight world champion, Hasim Rahman, who joined the Prince Ranch Boxing management team earlier this year, was responsible for bringing Hunter to the team. With his keen eye for talent, Rahman feels Hunter has the talent to become a world champion in the future. “Keith Hunter is a long, rangy fighter, with great boxing skills, to go along with his high ring IQ.” said Hasim Rahman. “Standing six-feet, Hunter is very tall for the welterweight division and I know he’ll be a problem for anyone out there.